Ryan Zinke did something recently he should have done the first week he took over the helm of the Interior Department in 2017 and began flying his own flag: meeting with a diverse array of American conservation leaders whose groups, in turn, represent tens of millions of people who care about environmental protection. Zinke has his own personal agenda and we don't yet know what it is. Some have speculated he intends to run for governor in Montana or the U.S. senate or that he has positioned himself to pull in millions serving on the board of directors for maybe a fossil fuel or mining or chemical company after he leaves Washington D.C.
A person inside the Interior Department told me that Zinke finally realizes that his actions have ignited a backlash among conservationists he thought he held in the palm of his hand. A couple of things: when I told a few former Interior press secretaries I know who have served under both Republican and Democrat Interior Secretaries of Swift’s attempts to control the press, they replied that Zinke and Ms. Swift are mistaken if they believe interviews are only granted to advance Zinke’s personal best interests. 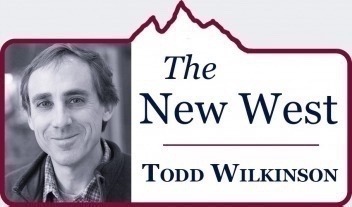 He is obligated to answer tough questions about his stewardship of the people’s landscape—hundreds of millions of acres of public land under his authority—and which belong to all citizens. Further, U.S. taxpayers fund the salaries of Zinke and Swift, not a political party nor special interests who hold sway in the swamp. 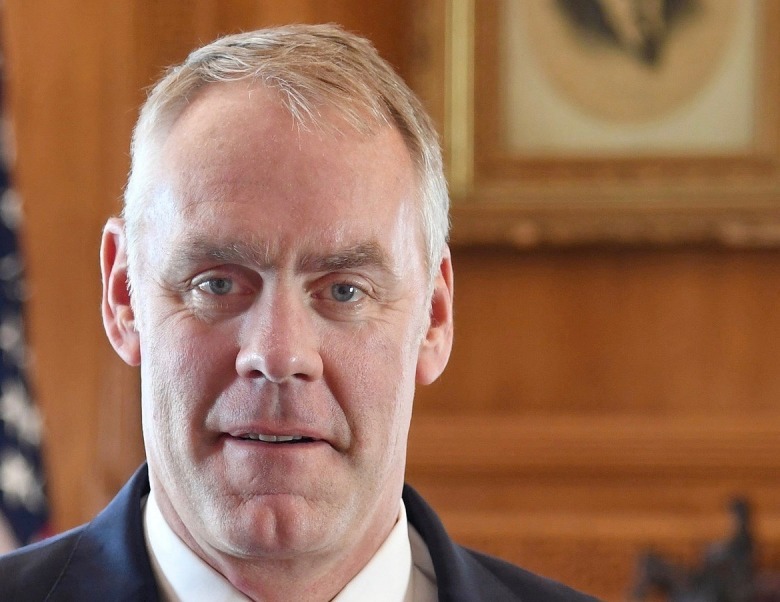 To date, Zinke has, for the most part, only courted press opportunities with reporters whom he knows will not subject him to probing inquires. I know many reporters nationwide who are also frustrated by Swift’s evasive behavior. She has aggressively tried to deflect reporters eager to ask Zinke about his policies favoring, for example, the energy industry over the protection of finite things such as clean water and air, wildlife habitat and the fact that morale of federal land management agencies has gone into steep decline under Zinke’s command. It’s extraordinary, on the face of it, that Secretary Zinke, who boasts of his service to country as a Navy Seal, does not apparently have the guts to field tough questions from the press. have not said a discouraging word about the Trump Administration’s attacks on wildlife habitat protection, gutting of national monuments and environmental laws, overturning bans on toxic lead ammunition and proposals to allow oil drilling in sensitive coastal areas. 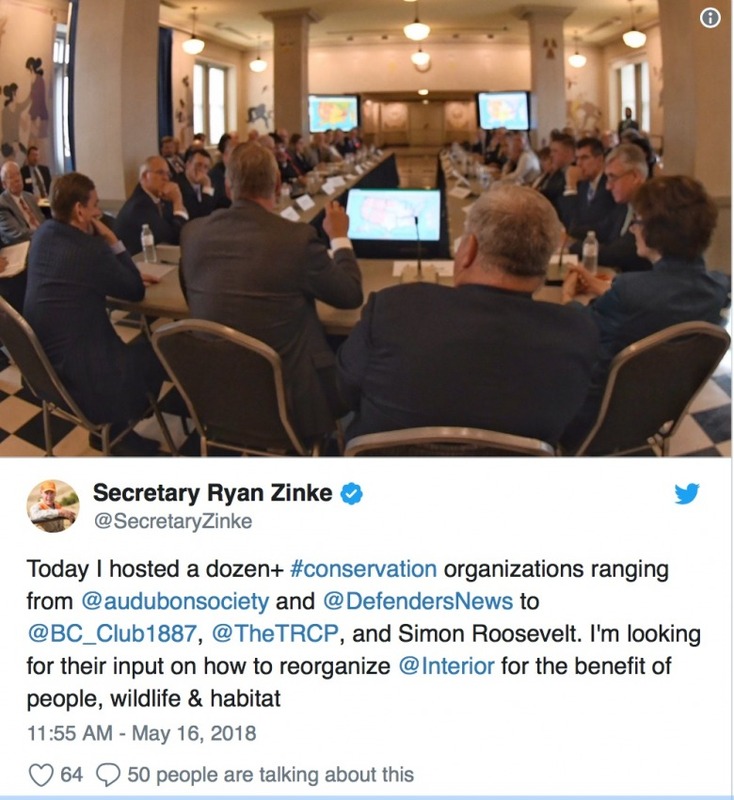 In a story that appeared in E & E News about Zinke’s recent meeting with about two dozen conservation/environmental leaders, it said Zinke is now considering making “a grand pivot” back to conservation. This, only after he has come under unprecedented fire from moderate Theodore Roosevelt Republicans who say his actions are far more radical than those advanced by Interior Secretary James Watt during the Reagan years. “The secretary is very much crowd-sourcing ideas for the reorganization," Swift told E & E. "It was a reorg-focused meeting, from the conservation angle." Note to Heather Swift: “ideas” for how to protect America’s wildlife, air, land and water for future generations do not need to be “crowd-sourced.” They should be abundantly obvious. Anyone who claims to be channeling his inner Theodore Roosevelt knows that you don’t, as one of your first public actions, eviscerate one of TR’s greatest contributions to America’s conservation heritage—creating national monuments. You don’t, by fiat, move to weaken the Migratory Bird Treaty Act or open up the Arctic National Wildlife Refuge to drilling on behalf of oil and gas interests. You don’t lay the groundwork for new Jonah Gas Fields to sprout in the middle of important wildlife migration corridors. You don’t pretend climate change doesn’t exist or break promises you made to vigorously defend the Land and Water Conservation Fund. Let us hope some of the hook and bullet organizations that vouched for Zinke the first time around are not so gullible as to get duped again. Zinke has done a lot of damage that first needs to get undone. As for Ms. Swift, you are a politically-appointed civil servant who works for the American people. You need to have a better role model than Sarah Huckabee Sanders. 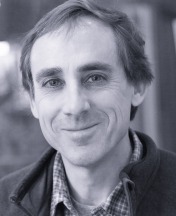 Franz Camenzind Pens "Wild Ideas"